Auch is the departmental capital of the Gers department in the Midi-Pyrenees. It is situated along the River Gers and is a fantastic place for trying authentic Gascon cuisine as well as making a great base for exploring the surrounding gentle countryside. It has a population of around 25,000 people. After it was taken over by the Romans from a Celtic tribe called the Auscii, the town was developed into a major trading crossroads, as it still is today. Auch's important regional role peaked in the Middle Ages when the counts of Armagnac moved in and built the city's cathedral. In the 18th century, the region embarked on an extensive road building project, which linked Auch to Toulouse and the Pyrenees. Today Auch, the administrative capital of Gascony, is a vibrant city with a bustling market every Saturday. While the Cathedral's construction began back in 1489, it took a whole two centuries to complete. The end results show that it was worth the effort. Inside you can admire the looming arches and decorative style that later became known as French Gothic. Accompanying this you'll find two of the greatest artistic works in all of France. First of all there's the impressive stained glass windows, which were made in the early 16th Century by Gascon artist Arnaud de Moles and secondly there are the Choir stalls, which took 50 years and a whole host of local woodcarvers to create. There are 113 stalls decorated with over 1,500 figures. From the Cathedral you can take the Escalier Monumental to the quays below. Even those with little familiarity with the French language might be slightly daunted by the name. This 'monumental staircase' has 370 steps, which will give you plenty of time to admire the fantastic views across the Gers valley. South of the stairs, you will encounter the Quartier du Caillou (called 'Pousteries' by the locals), a winding array of narrow lanes and yet more staircases. You could probably guess by the mysterious atmosphere which famous French prophet once inhabited this area: When he wasn't roaming these streets, you could find Nostradamus teaching at the Jesuit College on Rue de la Convention. What do the Jack of Diamonds and garlic have in common? The answer is that they both come from the Lomagne. This is the name given to the gentle countryside that surrounds Auch, which is a delightful place to explore. The roads and rivers tend to meander endlessly around the many hills. You're not likely to bump into many vampires around here as the Lomagne proudly boasts producing a third of France's garlic. There are many chateaux here as well. The most impressive belongs to Terraube, an infamous warrior in the hundred years war. If you want a glimpse of what the man looked like then pick up a French deck of cards and you will find him immortalised as the Jack of Diamonds. British Airways, Air France, bmibaby and British European all fly into Toulouse from the UK. Alternatively, you could catch the fast TGV train service into the same city. It's quite a journey by car, but still very much a viable option. One way is to start off by taking a ferry to Brittany and heading down parallel to the Atlantic coast. The other option is to take a P&O ferry to Bilbao and drive up from the Basque country. Auch is a reasonably expensive town in which to own property and has followed the same trend for property prices as the rest of the region, which has seen an increase over the last few years. Gers still remains the most expensive department with a high demand from new buyers. 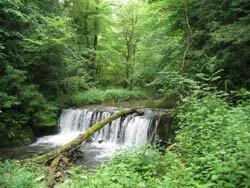 The advantage of Auch is that it has great access to the rest of the Midi-Pyrenees. 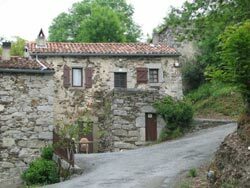 The area that surrounds the city has great opportunities for gites and renovations. Do you know Auch better than we do? Do you have photos of Auch? Slightly to the south east of the centre of the Gers department. Access: The nearest airport is Toulouse, which has regular flights to and from the UK. Pau is also an option. Economy: Tourism is important, although there is still a bustling market every Saturday. Interesting fact: A third of France's garlic comes from the gentle surrounding countryside.